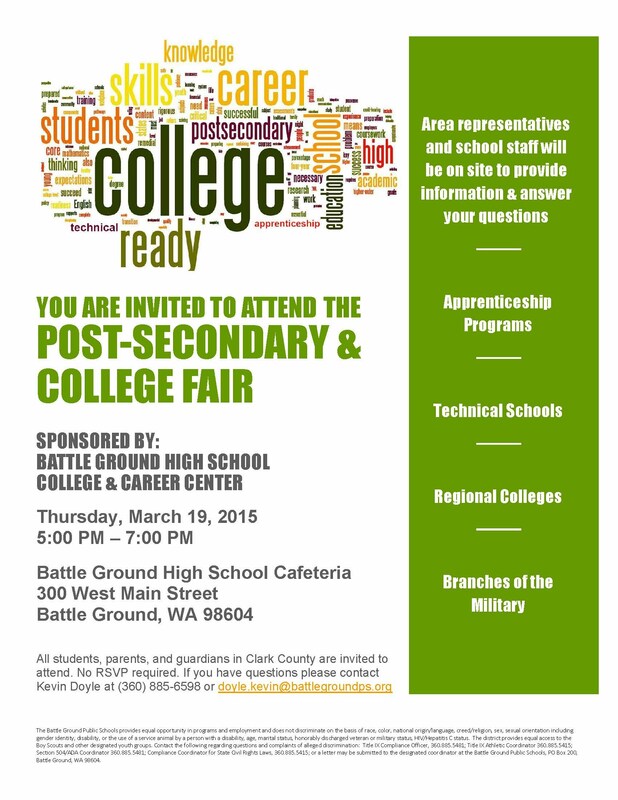 Battle Ground High School's College and Career Center is hosting a post-secondary and college fair on Thursday, March 19, from 5:00 - 7:00 PM in the Battle Ground High School cafeteria at 300 W. Main St. in Battle Ground. The event is for all students and families in Clark County and will feature area representatives from apprenticeship programs, technical schools, regional colleges, and military branches, including the Art Institute of Portland, Clark College, Washington State University, Oregon State University, the Job Corps and others. Students can ask questions about admissions, career opportunities, majors and campus life. 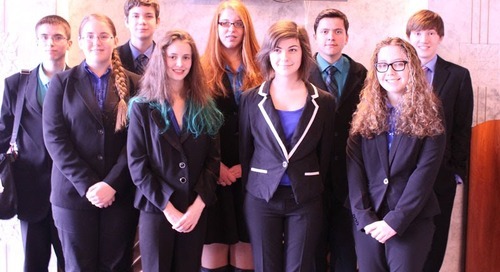 Battle Ground Public Schools is devoted to supporting students and helping families prepare for the transition into careers and post-secondary education, which is an important step for long-term success. Clark County students and families from all grade levels are encouraged to attend.